M3 - Mag. 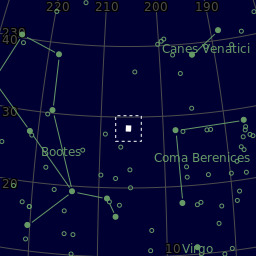 6.3 Globular cluster in Canes Venatici. Waxing gib. moon - so not ideal conditions - but thought I'd take a stab at it anyway as nice nights have been rare lately. Looks like I might have been able to get my focus a little tighter. This was with Cel. .7x focal reducer. Maybe I'll try it again at native FL and see how that looks. This was my first shot of a glob... any comments and criticisms are most welcome!